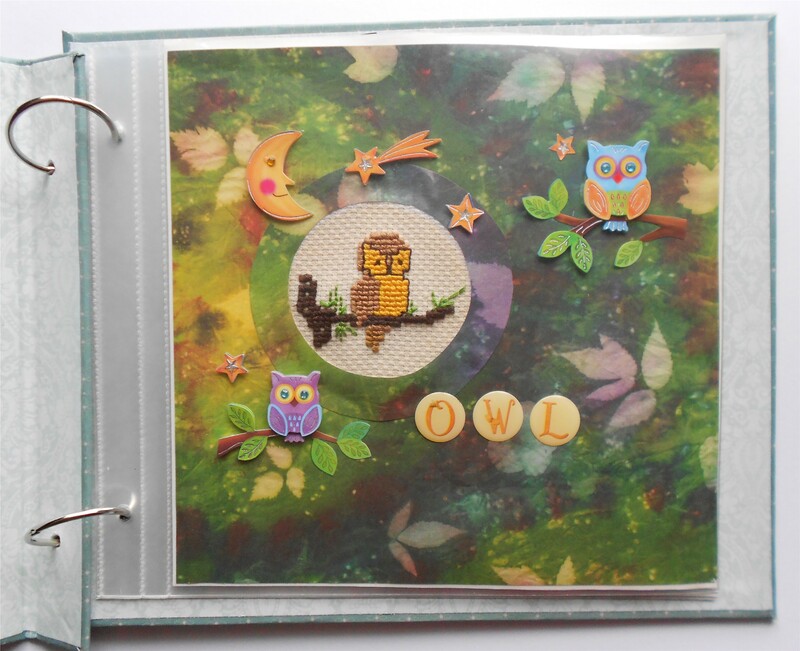 I recently went to a class to make an owl album, which we did over two mornings. The first morning we made the owl from tissue paper and glue. I hadn’t done papier mache since my early school years, and it was a lot of fun building up little bits of tissue paper on top of an owl pattern, getting sticky fingers, and watching him take shape. Next we constructed his surrounds. The bricks surrounding the window he is perched on were cut into polystyrene and painted. A photograph provides curtains for the background, and the decorative frame is made from chipboard. We took our owls home and put them in the hot water cupboard to dry for two weeks, then at the second lesson we painted our little owls, added the eyes, then learned how to construct the album from scratch and put it all together. I was so pleased with the end result! I used to collect owls and I am still enthralled by them. 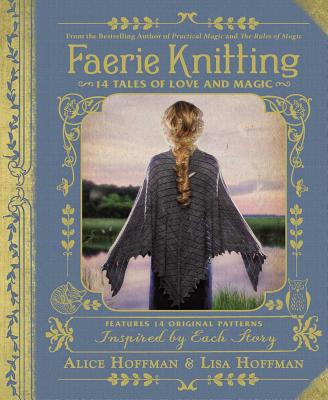 I am going to fill my album with all things owl-related. 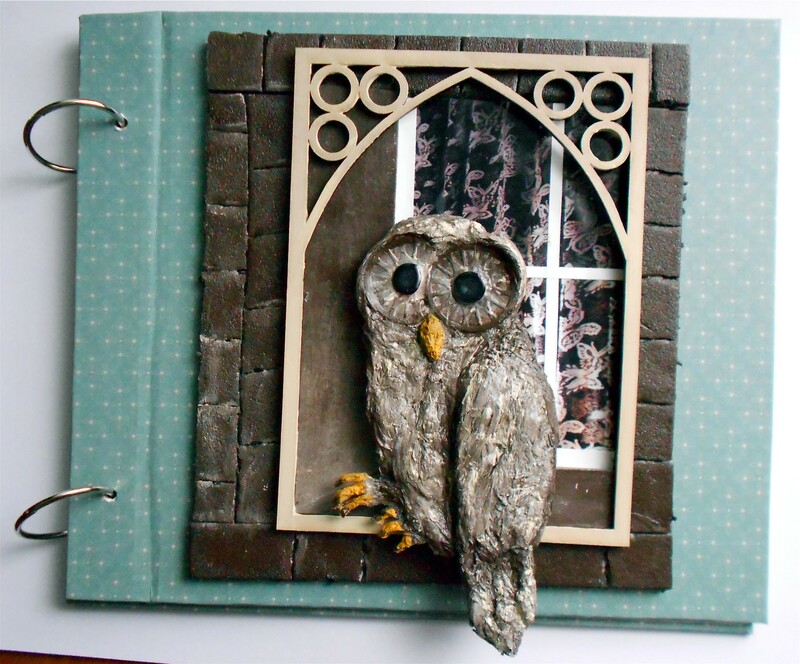 This entry was posted in Crafts, My Blog, Scrapbooking and tagged handmade owl album, owls, papier mache owl. Bookmark the permalink.